Last night inspiration struck just as I climbed into bed and I just had to get it drawn out on paper while I had the excitement flying around my head – I knew I wouldn’t be able to get to sleep until I did anyway! There will most like be some sort of tweaking that will need to be done when I create the pages in Word but also after they have been used for a few weeks I imagine. But for now they are a start on suitable pages for me while teaching. I got inspiration for them to look like this after using Steve and Ray’s Enhanced Time Management Week on 2 pages for the last few weeks. The boxes on the left page were roughly what you get in one of the teachers planners I have already used but felt there was never quite what I wanted available. 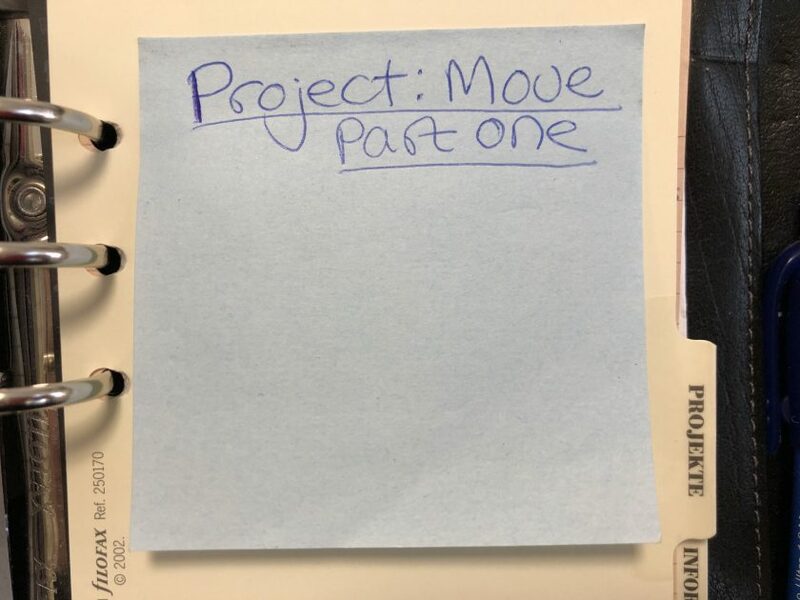 I had been using (somewhat successfully) a customised day to a page layout last term but it was never the “finished” layout of my dreams as far as planning lessons was concerned. I can therefore combine these pages and if I want weekend pages of the day to a page variety after the week of these pages in my Filofax then it is very easy to sort out. I had also thought that once I have finished with a week in my Filofax (I will keep the previous 2 weeks, the current week and 1 or maybe 2 further weeks of these day on 2 pages teacher planning pages in my Filofax but not more as that will get heavy to carry and isn’t really necessary) that I will need to put the pages into some sort of binder to keep them “stored” at present I think treasury tags and a box file might be the easiest way to store them tidily. I would be really interested to know what any teachers reading this think of my layout ideas. Do you like it or have I completely missed something? Fantastic work, Saz. 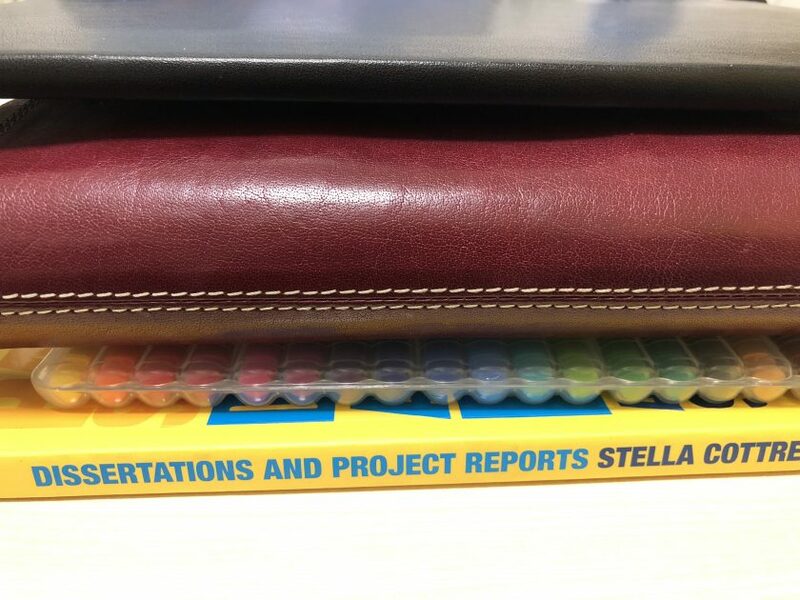 Given the number of teachers using Filofax, there has to be a commercial demand for this, not only as a Filofax insert but also as a bound planner. I know you’re unlikely to need any help getting this into Word, but I’m happy to lend a hand if you do. Wow thank you Ray, lovely comment to find this morning! I have started putting it into Word, have done the first page layout, need to do the second layout wise, then it’s working out how to sort the mail merging! I know I could leave the date bit clear so teachers can write in their own dates but I would like mine printed on! I would also like to know how one would go about having it merge to 5 lots of the week planners followed by a weekend planner? As I would love the Enhanced TM type 2 pages after my week but the left page split into 2 for Saturday and Sunday? Would I need to put 5 week day pages in Word followed by the weekend pages then mail merge them??? No, you’d need either to build two separate Word documents and merges – one for weekdays and another for weekends – or embed both templates in one merge file and set come conditional fields to reveal or conceal each based on the merge fields. The latter way is more elegant; the former is simpler. Guess which one I’d do! That should be ‘some’ conditional fields. erm… like the idea of the 2nd way but I am not sure where to start with this bit… Definitely need help! Please! Create your ‘weekends’ template as a separate doc for now. What we’ll do is combine the two and have a flag field in the Excel file that is set to true for each line that is a weekend (or just Saturdays) and false for weekdays. Usually the outcome of this sort of conditional field would be just a few words, but there’s no reason why it shouldn’t be several pages of content. It’s something I’ve done more than once in the past. OK I will put the weekend bit together and hopefully that might sink in better…! Ray, the link you posted to read to get started, would that mean that I could then get rid of any unwanted full stops in a file when it merges? For example the month on 2 pages has them when there are no dates for that day but I don’t like them so I’ve been through and edited it all before but would that do it for me? Oh and I have made both files now! 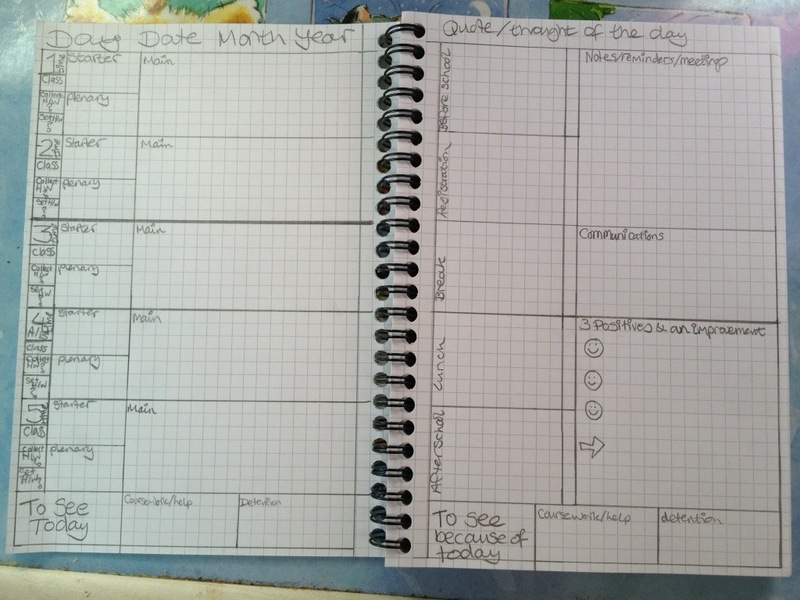 I love your teacher planner design for the A5 Filofax! It is perfect! My teacher planner last year was an A4 one, ring bound, and was annoying the lack of flexibility and I wasn’t able to put my own inserts in. A ring binder folder is also irritating as the pages fall out get. I love my A5 Filofax and would love to use it for teaching as it will survive the daily trials of the science lab! Is there an area to download these files from?! I have been trying to design my own for ages but not had much success. Hi Sophie thanks for your comment! Brilliant! Thank you 🙂 I especially love the 3 positives and an improvement part – that was drummed into us during PGCE, however during NQT it is so easy to not do this as you are not often making lesson plans and evaluations which are as detailed and useful as no ones sees them (usually last min scribbled on the back of a notebook) and you forget the things that actually went well during the day as they seem few and far between as NQT is pretty much a baptism of fire! Hope your NQT year is going well, nearly at the end of the most traumatic term so hopefully will be a little less crazy for you next term! Mind you I have always found Sept-Dec the most draining term each year, there is a lot to do and then Jan-April is equally quite flustered but in a different way, usually year 11 wise it is busy but lower school at that point slightly more relaxed BUT that could just be my subject (and a few others) I guess it depends on the timetable of exams/coursework and the deadlines!